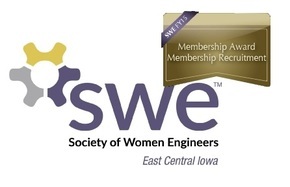 Do you want to inspire local Iowa kids in Science, Technology, Engineering, and Math? Celebrate in teams’ amazing, learning experiences? Want to enjoy your Saturday with some grateful kids and see some robots? ​Join our volunteer team for our FLL Regional Event on November 11th, 2017 (approx. 8 am to 4 pm) in CEDAR RAPIDS! Each year FIRST LEGO League releases a worldwide challenge to helps children develop skills in problem-solving, teamwork, programming, strategizing, and creative thinking. This year’s challenge is all about hydrodynamics. In the Hydrodynamics Challenge, the human water cycle describes the ways people find, transport, use, and dispose of water in order to meet a specific need or desire. In this season’s Hydrodynamics Robot Game, students will explore many questions about water and learn about the amazing engineering used to protect our most precious liquid asset! 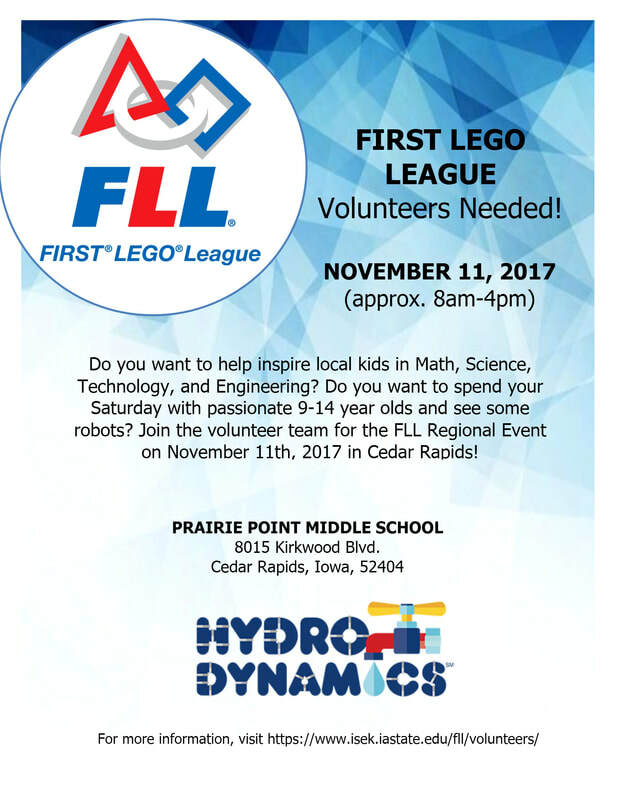 To see all the FLL events in Iowa and register, login or create an account in the FIRST’s Volunteer Information Matching System (VIMS), and look for “Cedar Rapids Regional Qualifier” under “Apply to an Event” to volunteer at the November 11 Regional Event. SWE-ECI tracks what Outreach Events our Members volunteer at - so let us know if you are helping with FLL on Saturday, November 11th!